Rogers City’s Taylor Fleming (4) goes up to spike a ball during a match against Onaway in the Presque Isle Championships. The Hurons will travle to Gaylord tonight to play Traverse City St. Francis. Hillman’s Alison Samp (1) and Emilee Noffze (2) go up to block a ball during a North Star League volleyball match against Au Gres. The Tigers will travel to Bellaire to take on Leland. Onaway’s Kennedy Crawford (3) and Breya Domke (14) block a ball during a volleyball match against Pellston. The Cardinals will travel to Mackinaw City to face off against Pickford. A total of 128 high school teams are still playing volleyball in the state of Michigan. Of those 128, three area teams, Rogers City, Onaway and Hillman have continued their seasons and are ready for regional semifinal action tonight. Each of these three programs have reached this point in the season in different ways and some teams are more familiar with this spot than others. Rogers City has been a volleyball powerhouse for the past four seasons under head coach Jackie Quaine. The Hurons advanced to the final four at Kellogg Arena in Battle Creek each of the last two years at Division 4. 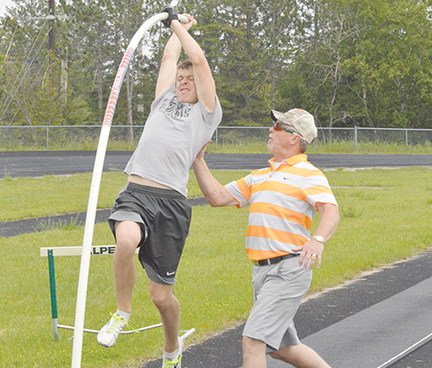 It hasn’t been the same dominant season for Rogers City who moved up to Division 3 this season and the Hurons were tested in district play, but led a host of senior leaders, Rogers City is back in the regional picture. The Hurons are led by four-year varsity starter Taylor Fleming who is hoping to cap off a sensational career with another deep postseason run. Along with Fleming, seniors Shawna McDonald, Catheryn Hart, Amanda Wirgau, Sarah Brege, Maddy Hincka and Christina Andrzejewski have all been apart of big games in big moments. The big game game experience helped the Hurons throughout district play as the team had their backs against the wall against East Jordan in the district title game. Rogers City was down 2-1 in the match, but the Hurons turned it on and battled back to win the next three sets, take the match and capture its fourth consecutive district crown. 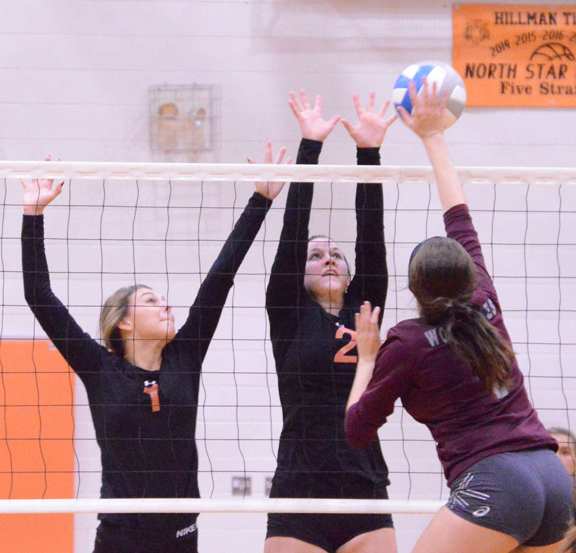 The road doesn’t get any easier for Rogers City tonight as they travel to Gaylord for a regional semifinal clash with another volleyball power and eighth ranked Traverse City St. Francis. The Hurons won’t be intimated nor back down from another challenge. Almost exactly a year ago to the day, Rogers City defeated volleyball juggernaut, Leland in a thrilling regional semifinal match to keep its season alive. 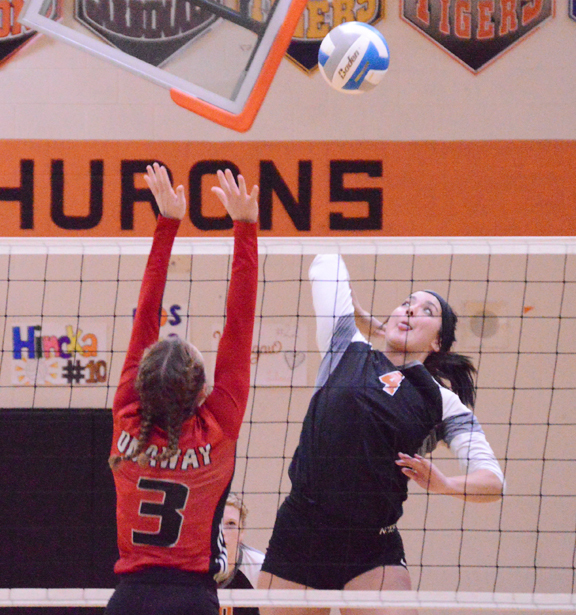 The Hurons are hoping history repeats itself with another regional semifinal win tonight and they can advance to their fourth straight regional championship game on Thursday where they would possibly await the winner of Calumet and Manistique. Onaway head coach Steve Watson is familiar with the territory his team is in, but the athletes on the court are getting their first taste of big time postseason action. The Cardinals coasted their way through district play by going a perfect 9-0 in sets, sweeping its way to a Division 4 district championship and capturing a title for the first time since 2014. During that 2014 season, Onaway rallied and went all the way to the final four in Battle Creek. Watson vividly remembers that journey and despite no one on the current team being apart of that magical run, they certainly remember watching the action from a far and now they are getting to experience it first hand. 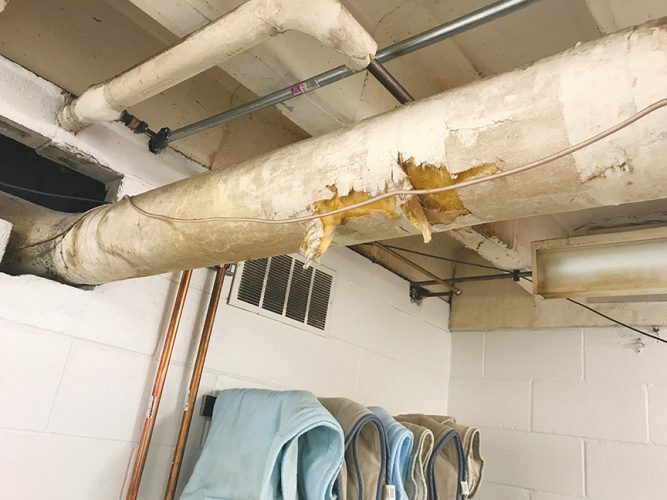 The Cardinals have been among the better teams in Division 4 for nearly half of a decade, but Onaway had been tripped up by county rival Rogers City each of the last three seasons. The Cardinals got over the hump and defeated the Hurons for the Presque Isle championships just a few weeks ago and have been on a roll ever since. 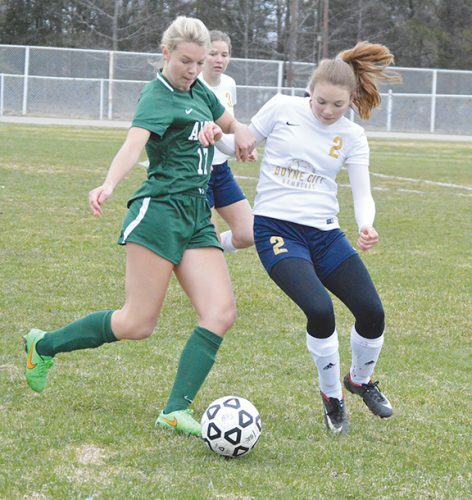 Onaway has completed its goals of winning a Ski-Valley Conference title along with a Presque Isle championship and capturing a district crown, but the Cardinals have their eyes set on bigger goals. Onaway will travel to Mackinaw City tonight and take on Pickford in a regional semifinal match. The Cardinals are led by three seniors, Calley Selke, Kennedy Crawford and Sunny Flory. The entire Onaway roster got plenty of action in district play and have a handful of capable bodies to play multiple positions at any time which makes the Cardinals such a well balanced group. 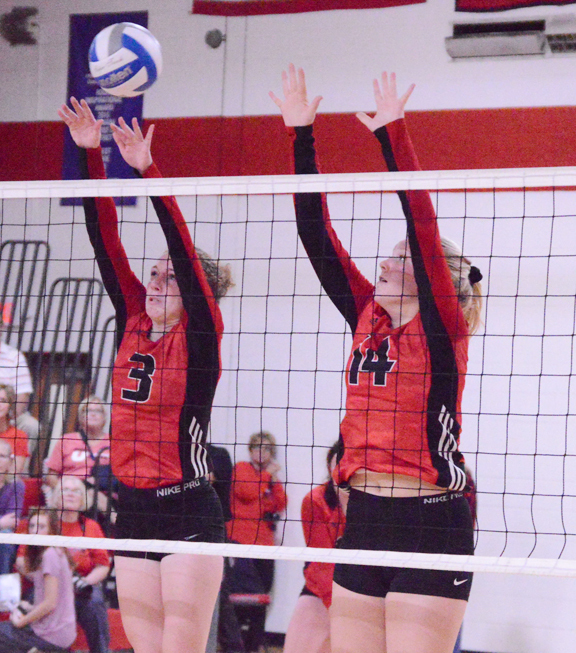 Onaway is hoping to continue its season and advance to a regional championship game Thursday against the winner of Pellston and No. 10 ranked Rudyard, while continuing to gain more experience for a loaded junior class that features seven Cardinals in Mallorie Neelis, Malaurie McLean, Mattey Hoerner, Jordan Larson, Lexi Horton, Malaisha Van, Karli Tulgetske and Jackie Sellke. 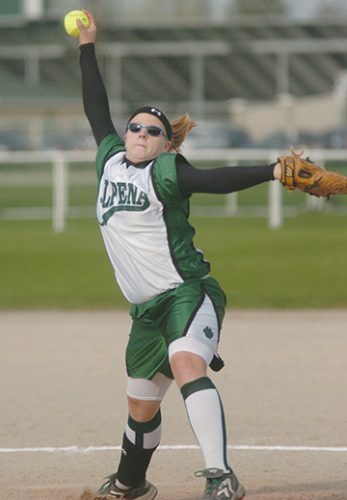 Hillman has had success throughout its entire athletic program, bringing home multiple championships in different sports, but struggled to get over the hump on the volleyball court. This senior laden 2018 Tigers team led by Emilee Noffze, Alison Samp, Brooke Jones, MacKenzie VanPamel, Ricki Steinke, Allyn Jencks, Chelsea Moulton, Anna Callendar and Brooke Grulke were able to do so as they captured their first district title since 2009 under first year head coach Kim Weiland. Hillman had time to celebrate ending its nine-year district title drought, but now the Tigers must focus their attention on what will easily be their biggest challenge of the season. Hillman travels to Bellaire tonight to take on the No. 1 ranked team in Division 4, Leland. The Comets have been an exceptional program on the volleyball court having made several deep postseason runs and Leland is no stranger to big moments. The Comets will also be looking to reverse history and not have their season end by the hands of another North Star League opponent. Last year, Leland fell to Rogers City in a thrilling regional semifinal matchup and this time Hillman will look to play spoiler and represent the NSL once again and upset the top team in Division 4.